Fabulous February Addition Math Centers provide inviting math centers for learners to practice addition facts. 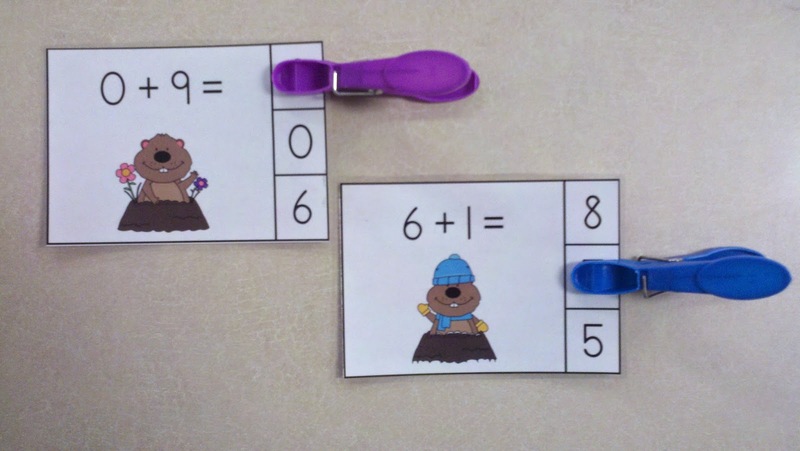 These activities are a fun alternative to addition worksheets. There are 5 addition clip card math centers activities in this packet. Each activity has 12 clothespin clip cards and a recording sheet. There is an addition fact and a choice of three sums printed on each clothespin clip card. The cards and recording pages have matching February graphics. Three sets of the cards have Valentine graphics, one set has Groundhog Day graphics, and one set has Presidents’ Day graphics.